The Matt Anderson x Tenacious Toys exclusive "Anar-Qee" custom series is set to release tonight at 10PM EST here in our Matt Anderson section. There is a preview of each figure up right now so you can see all the customs from every angle. 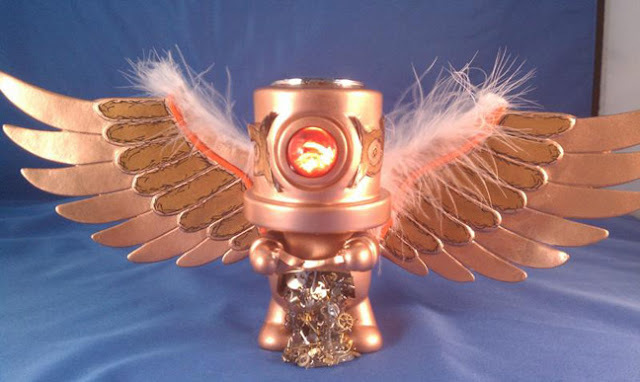 Matt's signature neo-steampunk style incorporates metallic paint jobs, real working gears and mechanisms and working electronics. Complex and visually dynamic, Matt*A's style is instantly recognizable. 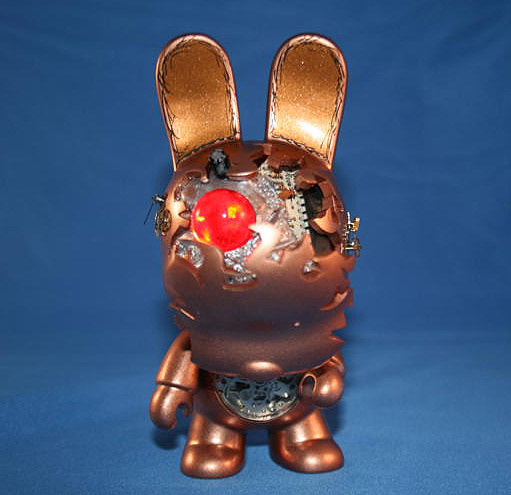 Don't miss this opportunity to grab some of Matt's earliest pieces, as well as some of the VERY first customs on the new Toy2R 5-inch Mini Qee platform! 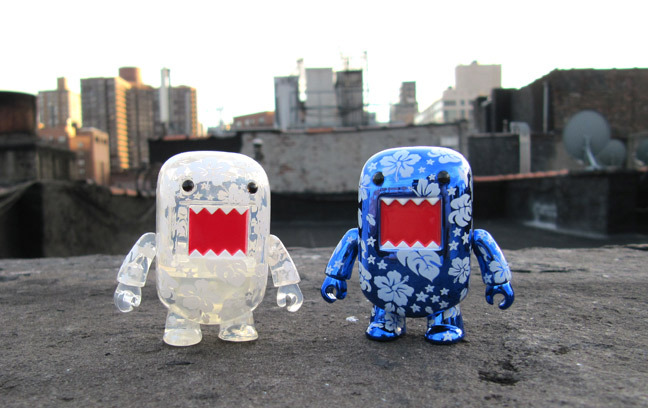 These lovely 2-inch Hawaiian Domo Qees are in stock now in clear and metallic blue colorways. Once an Asia exclusive release, only 800 of each colorway was shipped into the US and we got some! $8.99 each- click here to buy them. We've just been notified by 3A that the 9-inch WWRP Large Martins will be shipping out to us in about a week. We are currently collecting preorders and payments as these figures are selling out fast (2 of the 5 Large Martins are already sold out). 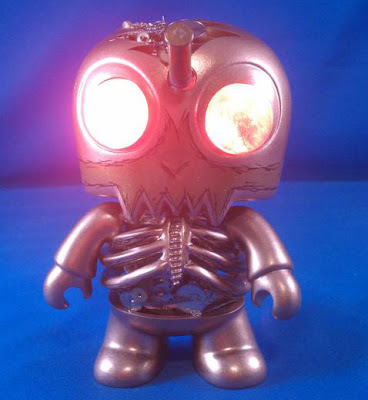 Only $45 for a highly articulated 'bot designed by Ashley Wood. Orders over $100 qualify for our free shipping promo. Get your Large Martin here.